CHICAGO (CNS) — Catholic Extension’s finalists for its Lumen Christi Award show “what can happen when we build up and strengthen Catholic faith communities in the poorest parts of the United States,'” said Father Jack Wall, president of Catholic Extension. “If we all follow their examples, we can change our world,” the priest said. Lumen Christi is Latin for “Light of Christ.” The award honors an individual or group who demonstrates how the power of faith can transform lives and communities. The finalists, announced Sept. 12, include three “Dreamers,” young people who are beneficiaries of the Deferred Action for Childhood Arrivals program; two women religious and an order of religious sisters; the lay coordinator of an immigrant parish in Puerto Rico; the principal of the only Catholic school in the 25-county Diocese of Lubbock, Texas; and a priest who was orphaned when his police officer father was killed in the line of duty. Another finalist is not an individual but a diocesan ministry — the Office of Hispanic Ministry of the Diocese of Jackson, Mississippi. The Lumen Christi Award is the highest honor bestowed by the Chicago-based national organization, which raises and distributes funds to support U.S. mission dioceses, many of which are rural, cover a large geographic area, and have limited personnel and pastoral resources. Among other things, funds help build churches and assist with seminarians’ education and training for other church workers. The dioceses served by Catholic Extension nominate individuals and programs for the award. — Randy Tejada, Diocese of Caguas, Puerto Rico. At age 21, Tejada has already been serving as pastoral coordinator at his parish, an immigrant community facing many challenges, for five years. He has helped lead the chapel’s restoration with scarce resources, coordinates youth ministry for the diocese and, since the devastation of Hurricane Maria, he is helping in recovery efforts. Known as the “soul of the community,” he wants to engage laypeople to serve migrants, children and other marginalized sectors of society. — Hispanic ministry of the Diocese of Jackson, Mississippi, which covers more than 37,000 square miles and is home to about 54,000 Hispanics. Currently, about 5,000 of them are connected to the Catholic faith and the diocesan ministry wants to reach more. Assisted by two Guadalupan Missionary Sisters of the Holy Spirit, Christian Brother Theodore Dausch has been involved with Hispanics for 20 years and coordinates the Office of Hispanic Ministry. Masses in Spanish have tripled in the past 25 years and are now being offered by 27 parishes. — Sister Marie-Paule Willem, Diocese of Las Cruces, New Mexico. Sister Willem has been a Franciscan Missionary of Mary for more than 60 years, serving in South America and in the Southwest region of the United States. Her focus is on social justice issues for the poor, particularly with immigrants, bringing them comfort, tutoring them and helping prepare them for citizenship in this country. The diocese, which shares a border with Mexico, is more than 65 percent Hispanic. As parish administrator at San Jose Mission Church on the Rio Grande, she serves 200 families and works with Hispanics at Holy Cross Parish in Las Cruces, whose Spanish Mass is standing-room only. She also launched a ministry for women incarcerated at a detention center that now serves 60 women weekly. — Msgr. Jack Harris, Diocese of Little Rock, Arkansas. 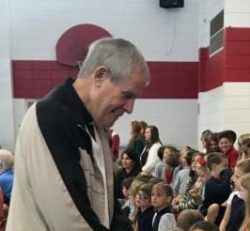 Since his ordination in 1974, Father Harris has been a teacher, coach and pastor, but his biggest outreach is prison ministry. “This seed was planted early,” said Catholic Extension, when his father, a Little Rock police officer, was killed in the line of duty before he was born. His appreciation for the victim’s viewpoint has helped him to forge bridges between the incarcerated, their victims and their families. He has spent the last 14 years as chaplain to death-row inmates at a supermax prison. Twice a week, Father Harris drives 250 miles to visit nearly 500 men who are locked down for 23 hours a day in a one-man cell. He talks and prays with them and offers Mass and confession. — Christine Wanjura, Diocese of Lubbock, Texas. A former teacher, Wanjura is the principal at the only Catholic school in the 25-county diocese. She never turns away a child who wants a Catholic education. She also wants the school to reflect the demographics of the primarily Hispanic diocese. Students come from as far as 70 miles away and even with a modest tuition, most receive financial aid. During her tenure, enrollment has grown by 20 percent. 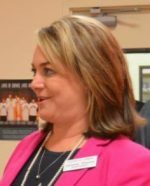 In her other role as superintendent of Catholic schools in the diocese, she works with parishes to create after-school programs. — Franciscan Sister Phyllis Wilhelm, Diocese of Superior, Wisconsin. For more than 40 years, Sister Wilhelm has served Ojibwe Native Americans in the farthest reaches of north Wisconsin. Since 2008 she has been pastoral associate of historic St. Mary Parish in Odanah, which is part of the Bad River Band of Ojibwe. Sister Wilhelm has worked to build community, incorporating Ojibwe traditions into the liturgy, fostering a group of Native women who are reclaiming the traditional beading craft, and increasing participation and lay involvement in all aspects of parish life. — The Sisters of St. Francis of the Martyr St. George, Diocese of Tulsa, Oklahoma. For 32 years, the sisters have served the school and church of St. Catherine on Tulsa’s west side, which is surrounded by low-income neighborhoods and poor families, some of whom are refugees. 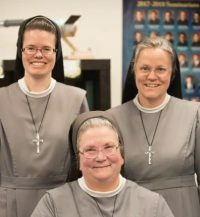 They are elementary and middle school teachers at St. Catherine School, assist the parish and work in the community, run a Catholic girls club, serve meals to the residents and promote religious vocations throughout the diocese. Transforming lives, community and Society is the need of the hour worldwide.